How do we celebrate our infrastructure as a valuable public resource that we can take civic pride in? 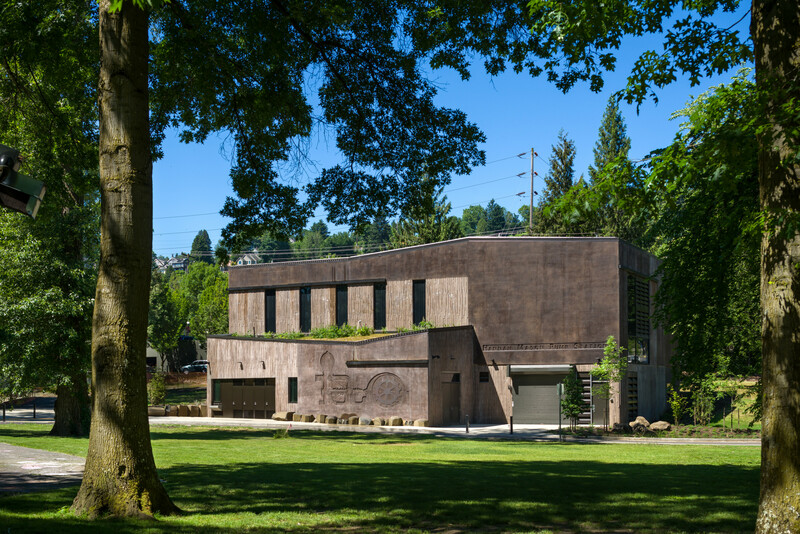 The newly opened Hannah Mason Pump Station in Willamette Park presents an elegantly simple seeming response to that question while fully integrating into its site specific and active surroundings. 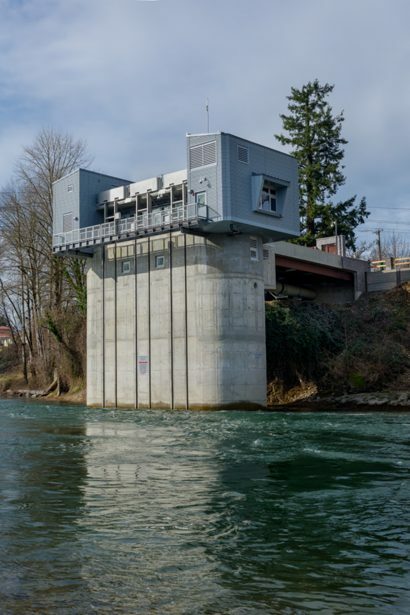 Replacing the existing Fulton Pump Station was a much needed project for the City of Portland to allow it to continue providing clean drinking water to residents. Not only is the Hannah Mason Pump Station significant as the first piece of Portland public infrastructure named after a woman, but it serves the people of Portland in numerous ways. 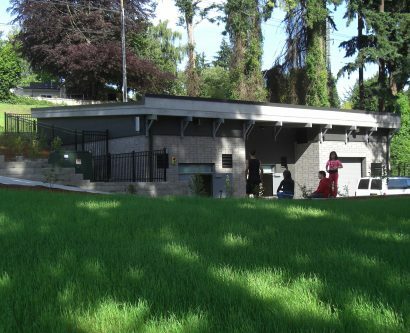 In addition to its service function as a pump station with 5 pumps processing up to 14 million gallons of water per day, the facility also features public restrooms, park storage, bird friendly glass (because it is in the Pacific Flyway), a green roof, an educational artistic element, and stormwater management. 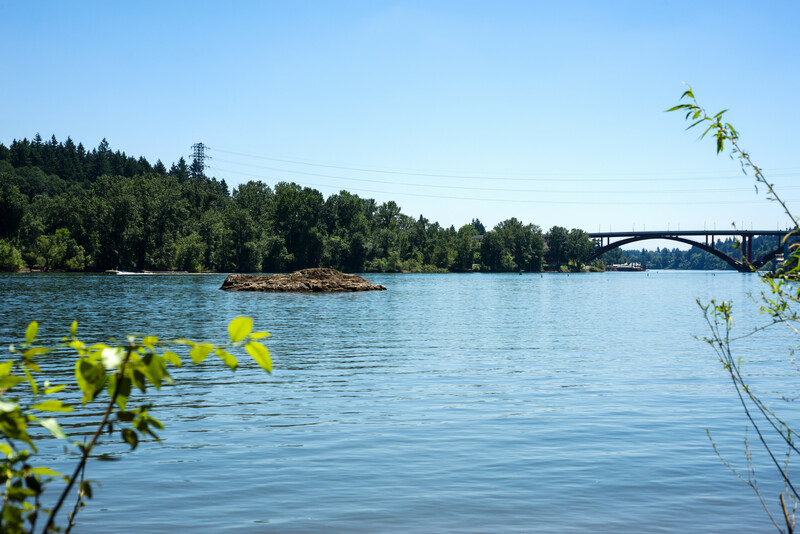 The pump station is sited within a popular Portland park, the Willamette Greenway with its habitat protections, in the 100-year flood plain, and a Design Overlay zone. Yielding a design that worked for neighbors, satisfied the Design Commission, and met the other requirements for this facility was no small feat but the efforts paid off and garnered support from neighbors and unanimous approval from the design commission. Alan Armstrong, MWA’s designer on the project, shared the evolution of the design concepts for this project that needed to fit into the park, the neighborhood, and the environment. The original ideas conceptualized the building as a more active object in its dynamic setting but in time came to be a mellower participant in the activity of the park – not a bystander but not wildly proclaiming its existence either. 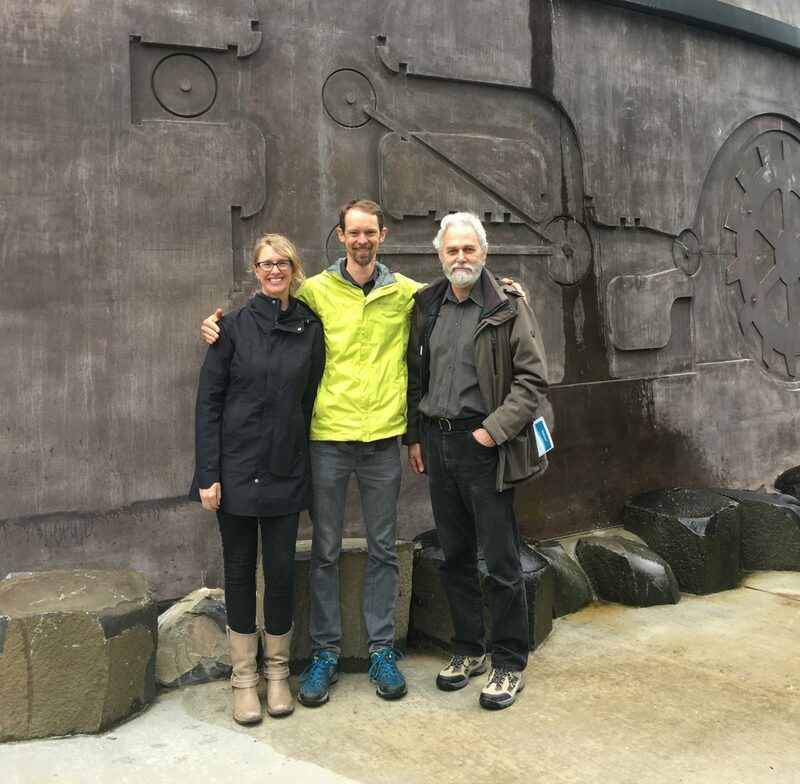 “When we started thinking about the design we used Willamette Falls as a metaphor for the forceful movement of water i.e. falls = pump station. We also compared this liquid frenzy with the active portion of the park around the boat launch, restrooms, and soccer fields. 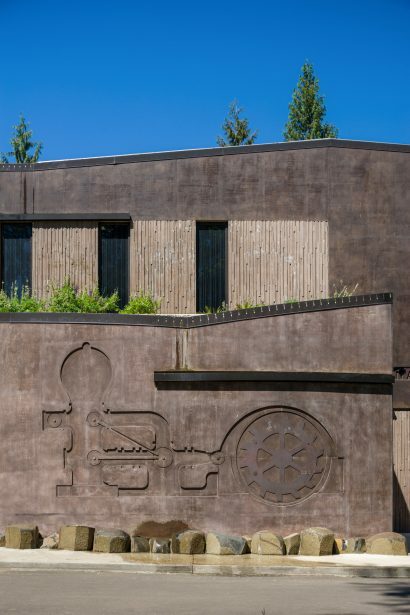 As the water spills over the years from its rooftop or creeps up on it from the river, the pump station will take on the patina formed from its engagement with the elements. 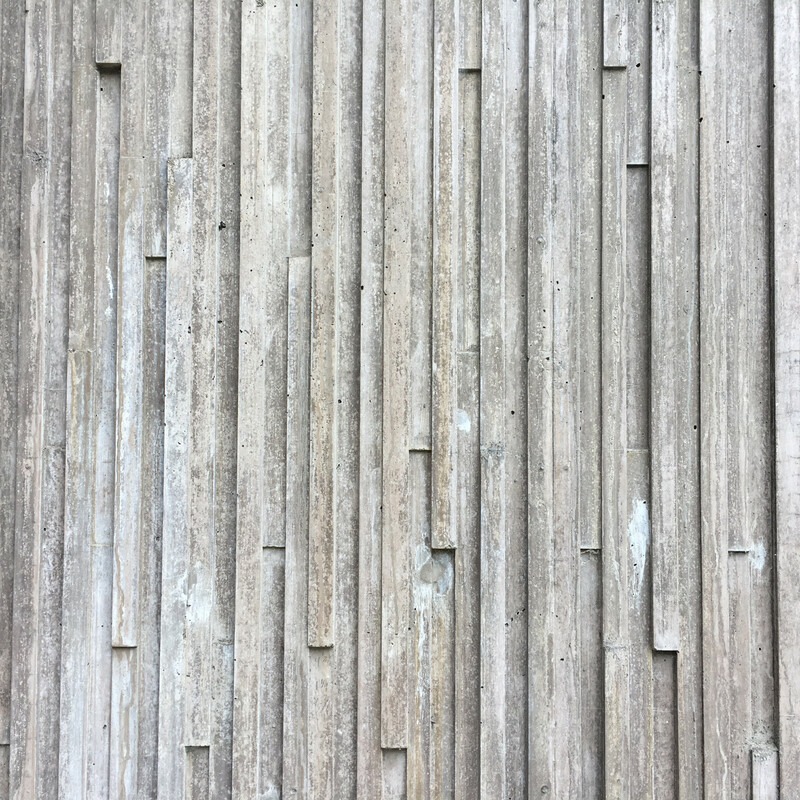 The textured concrete is intended to be durable and easily maintained but to allow lichen and moss to cling to it. As the building ages it will become physically and visually more incorporated in its natural environment.